This beautiful heart expresses love for the dearly departed. 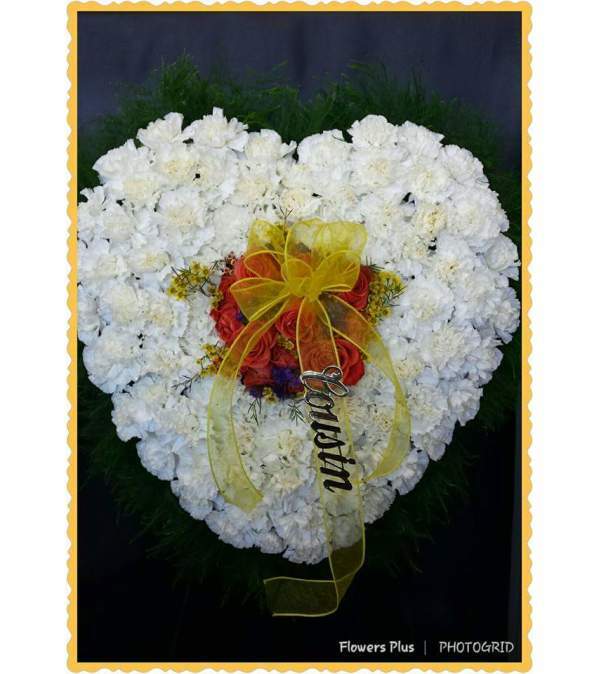 Created with white carnations on the outside and a beautiful bouquet of your choice of colour roses and spray roses on the inside, this heart will be express love and devotion. 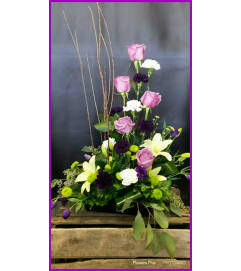 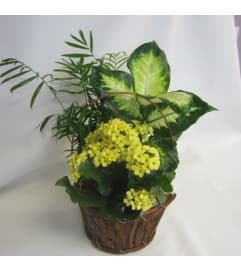 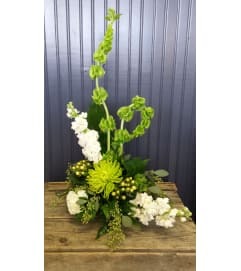 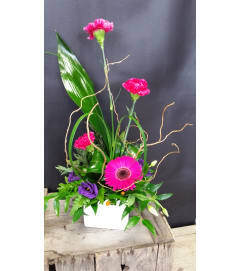 Add a ribbon with your departed's name of relationship to finish the arrangement.